Welcome to Washington! We hope you're having a great time so far. 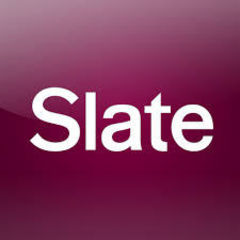 This tour is created by Slate Magazine. Witold Rybczynsk, Slates architecture critic will take you on a tour of Memorials on the Mall in Washington DC. We will start at the Grant Memorial at the base of Capitol Hill and finish at the Lincoln Memorial on the west end of the Mall. Along the way you will stop at the Washington Monument, the FDR Memorial and several others. If you're ready, choose where you want to start the tour and we'll set off down America's front lawn the National Mall. This is the thinking person's guide to the monument of the National Mall, with plenty of well-researched history and smart critiques. Even if you think you know these icons of American culture, I guarantee you'll learn more. It is a long walk between the sites. This would be ideal to do as a jog (although you shouldn't jog through the war memorials. Stop and listen.) It'd be great to do the Capitol to the Washington Monument portion by Capitol Bikeshare to save time. Long walk but interesting and well described stories, so much memorials in this city!